Over the past 30 years, rug production in Nepal has evolved within a relatively narrow set of parameters. Following Zoe’s smashing introduction of complex patterning in 2002, creativity has been expressed mostly through increasingly complex pattern variation. So strong has been this trend in Nepal that over the past several years, a certain plateau was reached with respect to originality. Two years ago, rug designers Maurizio Battilossi and Salman Khan set out to create something original in Nepal. They were ideally suited for the task, both having spent their formative years in the study and admiration of antique rugs. 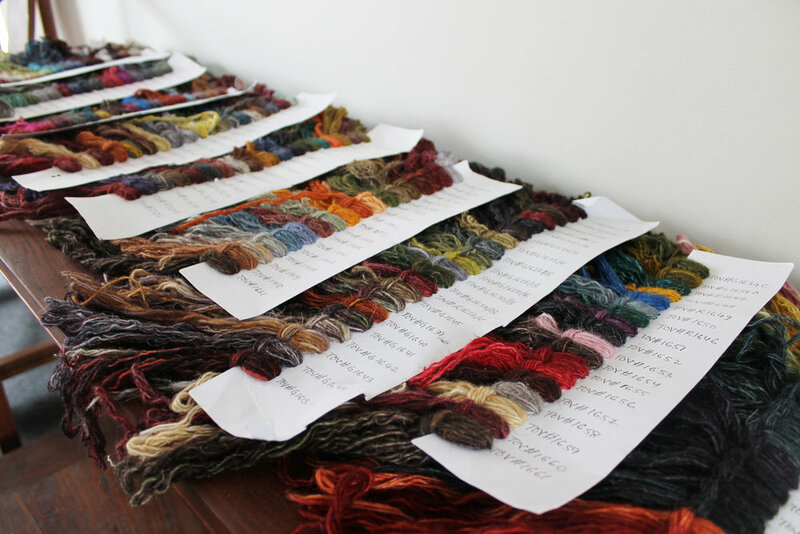 They began their work studying Tibetan rugs that predated industrialized rug making. This September in New York, Lapchi will caravan to the Rug Show to premiere the result of their two-year effort: Series One and Series Two, which comprise 36 new rugs in two distinct new collections. Here, Maurizio Battilossi offers a preview. What defines a beautiful rug? Harmony and balance through its components: colors, materials, quality, and pattern. We started with the idea of creating beautiful plain fields, enhancing the energy offered by an intense color palette. We also sought a sensual structure—thick, soft, but not heavy. Going against the flow of super complex designs, we wanted to strike a blow against the escalating costs that have characterized Nepali productions in the past few years. Our ultimate goal was to rediscover beauty in clarity and simplicity. What I think we have achieved is a rug that embodies sensuality combined with richness in colors and materials. For Series Two, throughout our process we returned again and again to a particular Tibetan rug we both admired. The handle, the patina, and the natural wear were all elements that we wanted to translate and blend into a new, unique look. To create a new quality, a new standard, implies that all the structural components work toward the final result. 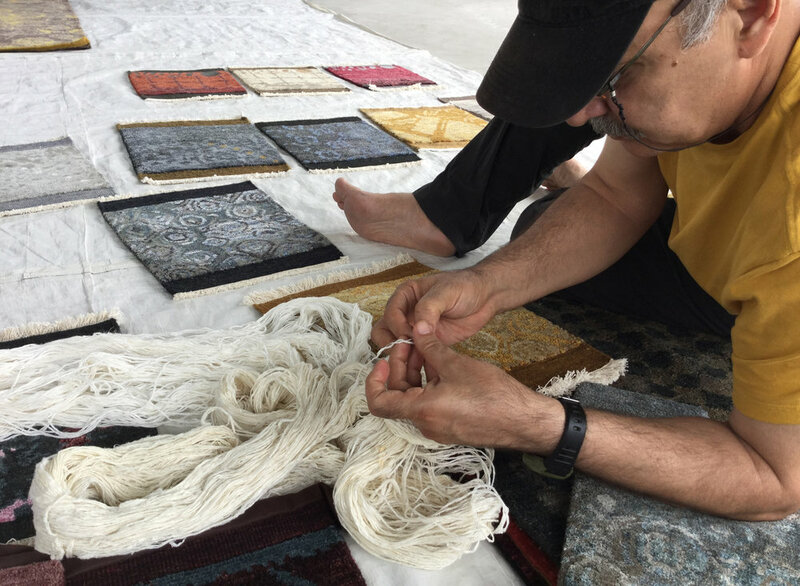 The choice of materials, the type of dyeing, and the complex structure required more than a year of work to coax harmony and balance into an original collection of handmade rugs. At the New York Rug Show in September, Lapchi will present 64 new rugs in five distinct collections. Stay tuned for more details on the other three collections!